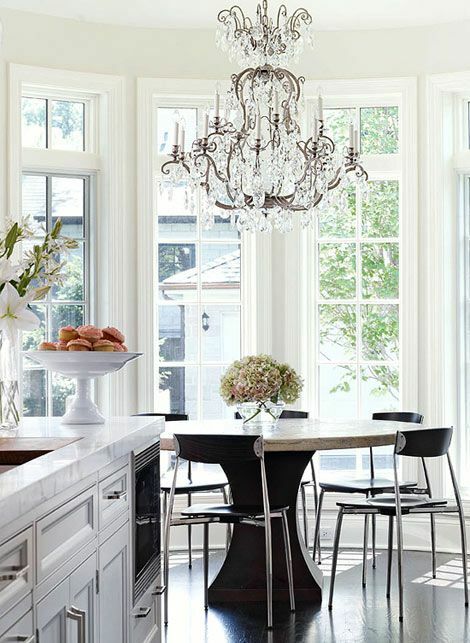 It's not the first post on this theme and it won't be the last: the bright white chandelier adorned kitchen. 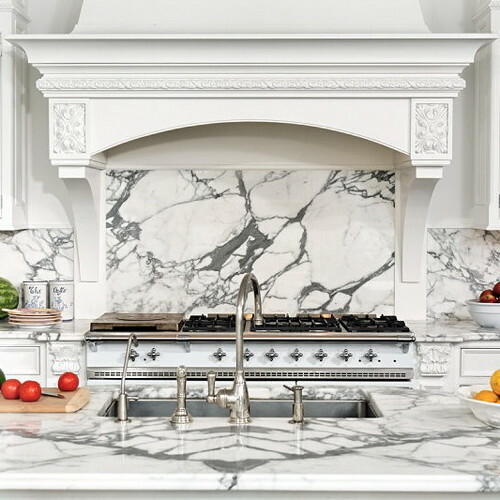 Although I find marble tops incompatible with my need for perfection, I can't deny their gorgeousness. 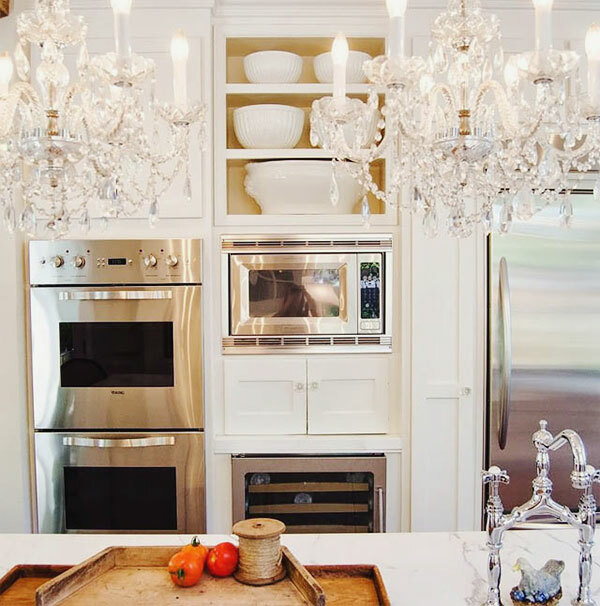 And white - pure white - cabinets have won me over especially when paired with wood floors and crystal chandeliers. The romantic in me craves the golden glow from overhead. 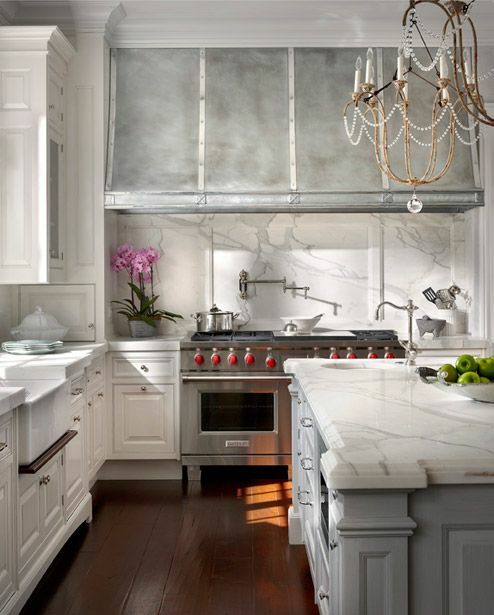 The designer in me loves the custom cabinetry from floor to ceiling. The organizational queen in me loves the glass front cabinets. 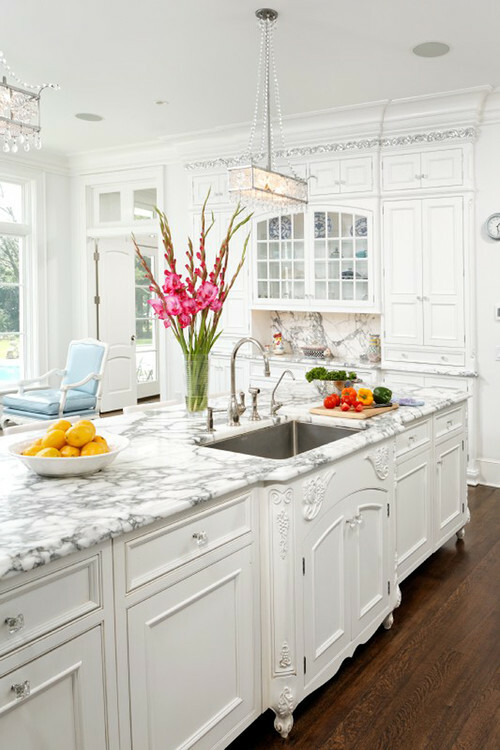 Everything in me loves the thick countertop slabs and the oversized islands. Dreamy, dreamy, dreamy.